Designing, building or investing in your dream home is a big deal; you’re going to have questions. If you don’t see yours here, give us a call at (512) 930-1686! Q: What sets you apart from other builders and construction firms? J Bryant Boyd Architect Design-Build is not your typical custom home builder or remodeling company. We are an architect-led design-build firm with the capacity and manpower to see projects through from initial meeting to move-in day. In other words, we will serve as both the architect and builder of your dream home. Q: What types of clients do you usually cater to? A: Our clients are often empty-nesters between 45 to 65 years old. These are families and individuals who have saved up enough money to turn their dream homes into a reality. With that said, we are excited to work with anyone who is ready to love their home. Q: How solid is your background and track record? 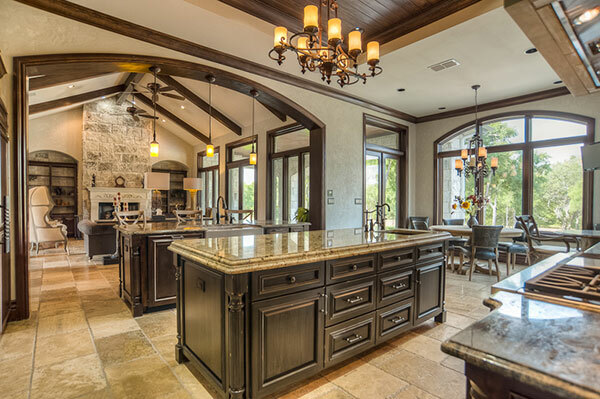 We have been building custom homes in Central Texas since 1992. Over the last two decades, we have earned awards, accolades and recognition from various industry groups. We were awarded Southern Living Remodel of the Year in 2006 and have been featured in international design publications. We are more than happy to provide you with client referrals to let our reputation speak for itself. Q: What is the minimum budget that you work with? A: We require a minimum budget of $150,000, which is the entry point for our home-building projects. We are a design-build firm that is geared toward constructing high-end custom homes and luxury remodeling projects. Q: Can you build on my lot? Absolutely! For more information about building on your own lot, click here. Don’t wait to love your home. At J Bryant Boyd Architect Design-Build, every step of our design-build process is centered around your specific vision and goals. If you’re ready to get started on your project, call us at (512) 930-1686 or fill out our contact form.